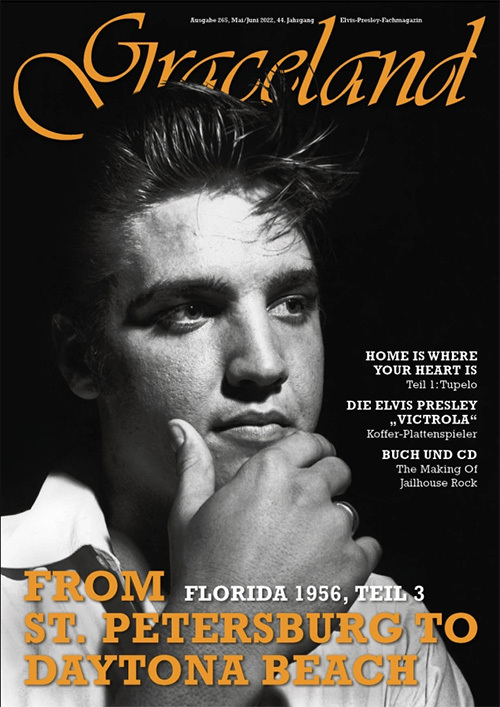 The German fanclub Elvis Presley Gesellschaft just sent their 237th edition of Graceland, their magazine. A huge part is reserved for the European Festival, were the likes of Darlene Love and Suzi Quattro appeared, next to the usual suspects (TCB Band, Imperials, Dennis Jale). Part two of the Memphis Mafia series is dedicated to Joe Esposito. Another large article is shining the light on the fact that Elvis married 50 years ago. Of course all the regular items like news and reviews are available too!